Looking for the best 23 inch monitor? 23-inch monitors are available in many forms out there. Some offer style, while others offer performance. Some are extremely affordable, while others are slightly expensive but have many added features that set them apart. One of the greatest achievements of the 23 inch PC monitors is their design. Here you will find many 23 inch monitors that offer unique and functional style. Some are even “frameless” making the perfect candidates for multiple monitor systems. Most of the monitors in this category are based on IPS panel display. This is not a new technology and has been in the mainstream market for quite some time. It is only recently that IPS monitors have replaced most of the older TN panel monitor out there. Hope you enjoy your stay here and may you find what you are looking for. Most of the people usually get confused about which one to get. There isn’t a huge difference between the two sizes in all reality. The 24-inch monitors measure about 23.8 inches, so they are almost the same size as 23-inch monitors. Both of these are most sought after sizes, and they are ideal for casual entertainment. They can be placed comfortably on the desk. With an average table distance, you won’t be needing your eyes to bounce from one corner of the screen to the other. Other than the size, the difference between the two lies in the price range. The 24-inch monitors are slightly more expensive than their 23-inch counterparts. Regarding features, they are almost the same. They both offer FHD resolution (at the minimum), 60 Hz refresh rate (at the minimum), 1-7 ms response time depending on the panel type and a combination of HDMI, VGA, DisplayPort or DVI as connectivity options. Some may offer speakers others may not. As mentioned earlier, 23 inch monitor are almost as popular as 24 inch monitors. There is little to no difference between their specs and features. Some people prefer 23 inch monitors for their slightly more compact size. Let us have a look at some of the best 23 inch monitors here. 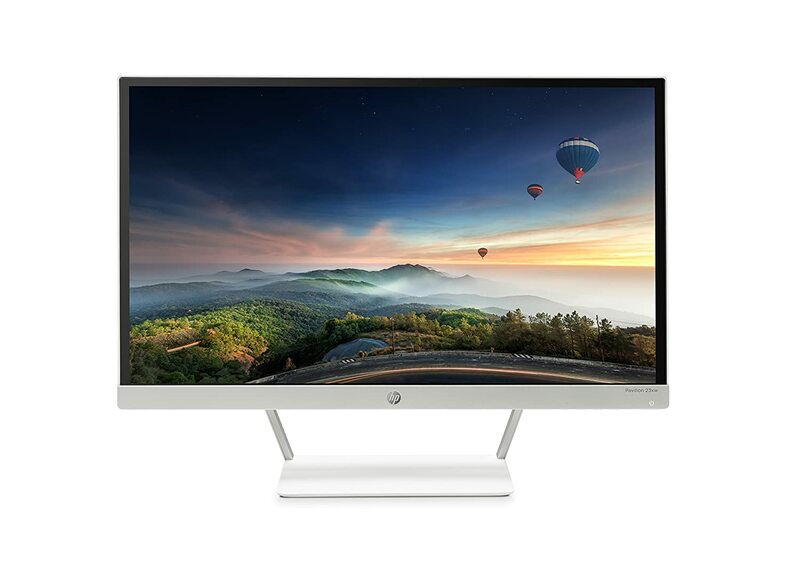 One of the best 23 inch monitors is by HP and worthy of being highly recommended for most everyday use. HP Pavilion 23xw is slim and has a thin bezel that contributes to its looks. Besides, the monitor has received high reviews for being perfect for any use be it gaming, video entertainment, graphic designing, etc. The monitor is also pretty well priced. This screen offers an IPS panel with FHD resolution. It has a stunning, unique and sturdy stand. People have praised this monitor for providing so much for such an affordable price tag. This is a highly refined and elegant looking best 23 inch monitor by Dell. It is a budget monitor, so the features on this monitor are not high-end. It has a stylish look, a very slim bezel, and a stand that is borrowed from the famous Ultrasharp series. This is a monitor that is easy on the budget, simple to operate and has all the essential features to keep you entertained. This is an IPs monitor. Therefore, you can expect excellent color quality. For a budget monitor, it still manages to have an excellent response time of 6 ms.
All in all, if you are looking for an average monitor for casual tasks, this is a great monitor to have. One of the least expensive 23 inch Monitor in the market. This monitor offers just the essentials that you need for daily use. However, beyond that, it also provides great looks with a very narrow bezel. This is not professional grade, and you should not expect it to be in once since it is so low priced. However, you can play games, surf internet or do whatever with much ease and without noticing any performance issues. The monitor is also very slim; that is something you don’t expect from such a low-priced monitor. According to most reviews, the new Acer Monitor “R” series panels are streamlined and therefore suffer from no issues such ghosting effects, thus making them suitable for fast paced gamed or action movies. ViewSonic monitor need no introduction, their reputation at providing the best quality panels precedes them. They have received many awards for their performance and functionality. 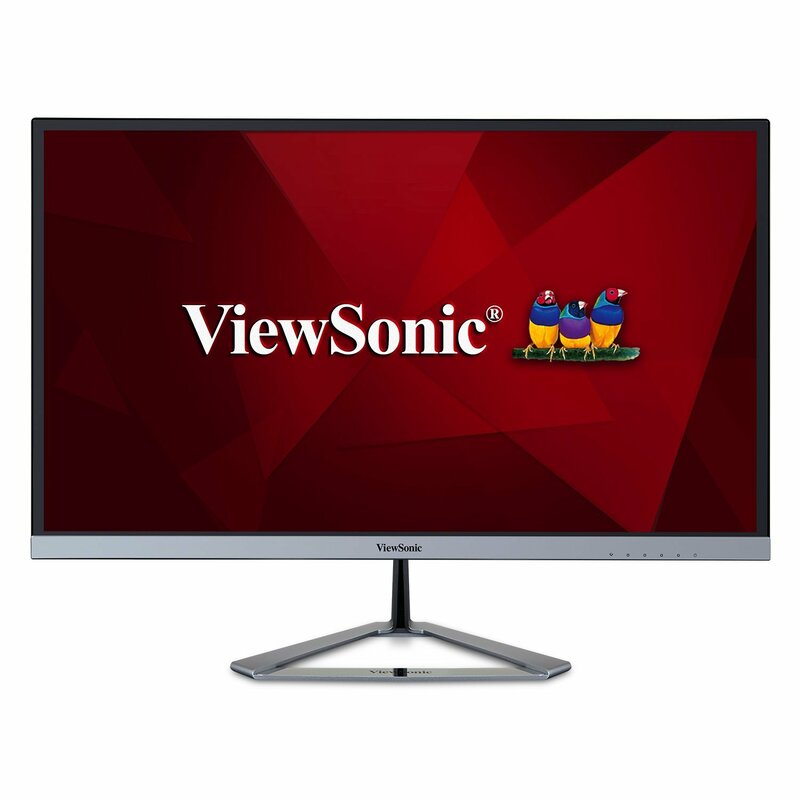 in other words, you cannot go wrong with a ViewSonic Purchase. For a ViewSonic “Latest” series, this monitor is pretty well priced. Also, this is a very rare monitor that offers a three-year warranty. This should tell you about the quality of service that ViewSonic provides to their customers. Besides that, this may not be the least expensive monitor in this list; however, it has some sweet features besides the extended warranty. This monitor offers a DisplayPort – something which is rare in this price range. Oh yes, this list would pretty much be useless without the mentioning of this Monitors. ASUS VX238H is one of the best, if not the best 23 inch monitor. It is not the latest monitor by ASUS; however, it is one of the highly recommended TN panel monitors still to this day. Let’s look at what the monitor offers. 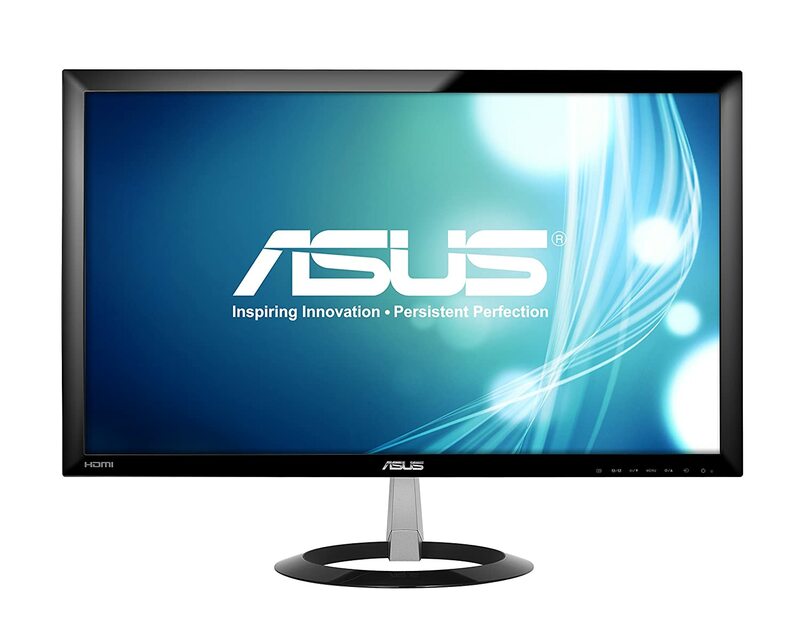 Firstly, it has a great style and looks that you would rarely expect from a monitor of this category and price range. Secondly, it’s got a wide variety of connectivity with 2 HDMI inputs. With this, you can have multiple interfaces connected at once to this monitor. Unfortunately, this monitor does not have as slim of a bezel as most of the monitors listed here. This monitor is, therefore, suitable for multiple monitor display systems. Moreover, the monitor has an Ultra Fast response time of a mere 1 ms, one of the fastest response times in the market. With such response time, ASUS VX238H should be an ideal and natural #1 choice for all Gamers. Perhaps the best aspect is the price tag. You get all that for such a reasonable price. You cannot ask for more. One of the beautiful and stunning monitors to hit the market recently. 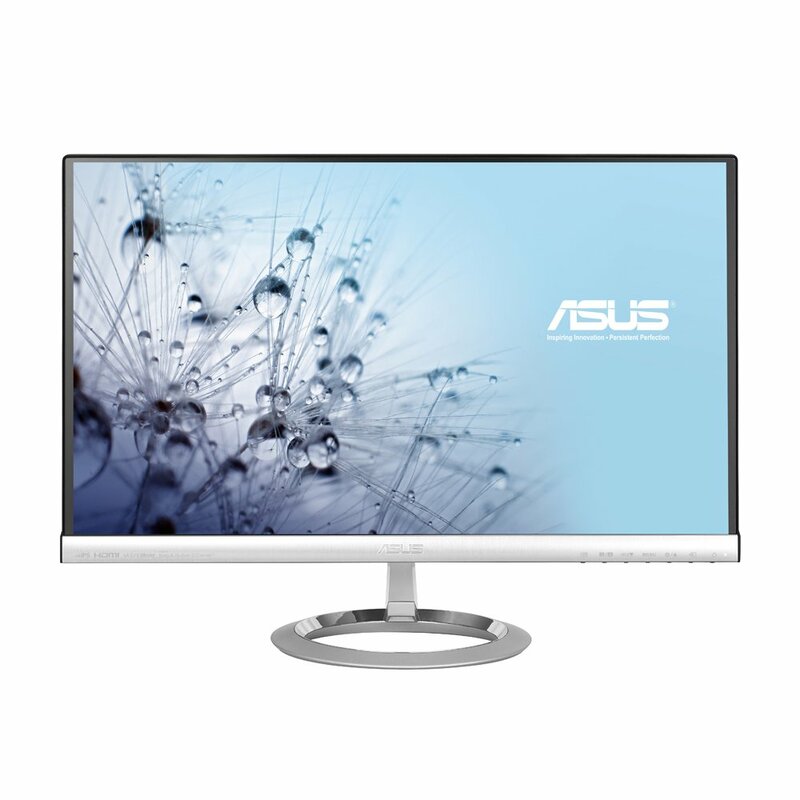 ASUS Designo MX239 23 inch is at the zenith of monitor craftsmanship with its one of a kind “frameless” bezel-free display. The screen runs from edge-to-edge. It was one of the first monitors, if not the first monitor; that offered such exquisite looks over an IPS panel. This monitor paved the way for most of the monitor brands to revamp their design from old and boring looks to refreshing ones. This monitor is an IPS panel monitor, meaning you get widest of the viewing angles, larger color space, and much better picture detail. For this reason, this monitor is slightly more expensive than its other 23 inch counterparts. 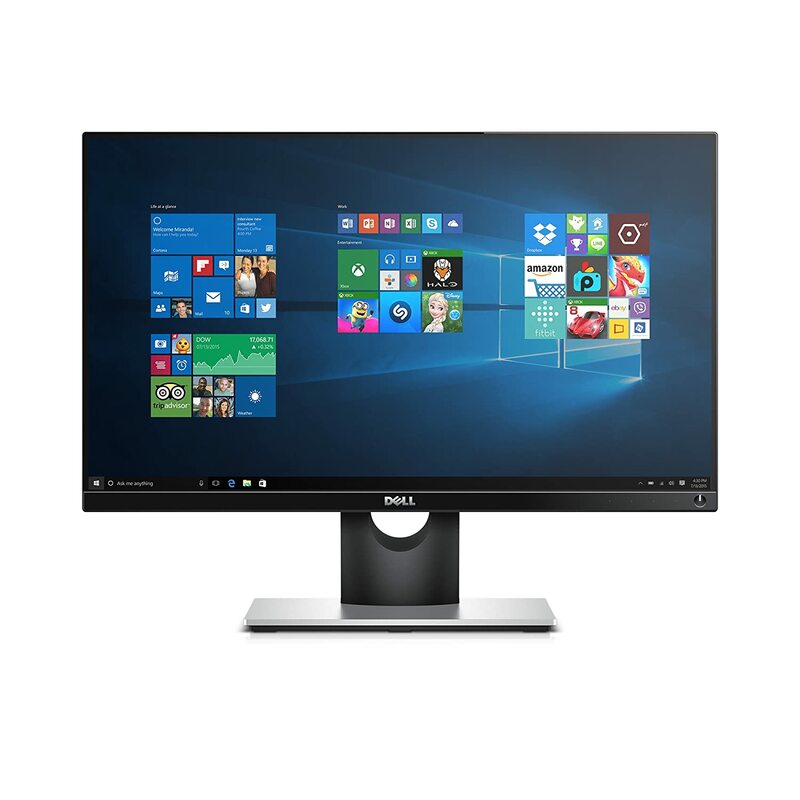 You can use this monitor for professional work due to its coverage of larger color space. Regarding picture quality, this is the best 23 inch monitor in this list. Nevertheless, the monitor features a large array of connectivity options, and of the best built-in speakers. A very affordable beauty from LG. One of the most recent IPS panels monitors to have been released recently. 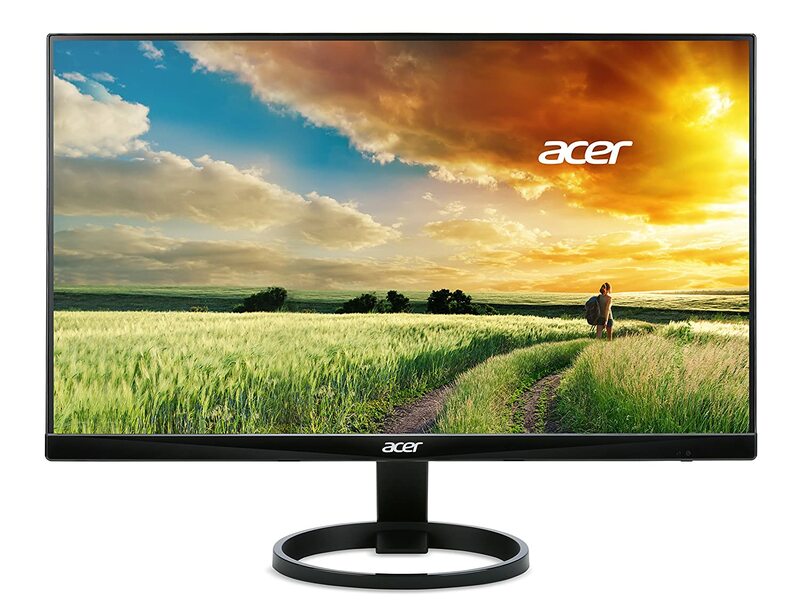 If you are looking for the ultimate affordability yet a great quality, then this is the monitor to go for. This monitor has the lowest price tag in this list. One of the best features of this monitor is that it manages to offer 75 mm VESA mounting holes despite the thin design. Most of the monitors here do not have VESA mounting holes. VESA mounting holes are essential if you want to an ultra wide display of two or three monitors on a dedicated stand. Fortunately, most of the 23-inch monitors are supremely good looking. Besides that, these monitors have decent specs and are mostly available in the budget range. Whereas 24-inch monitors can be found in many price ranges, 23-inch monitors are available only up till a certain price range. These monitors are perfect for an office, home, or for casual entertainment.